People will have a chance to meet South Dakota’s first governor in Sioux Falls as they celebrate the state’s first 125 years. Gov. 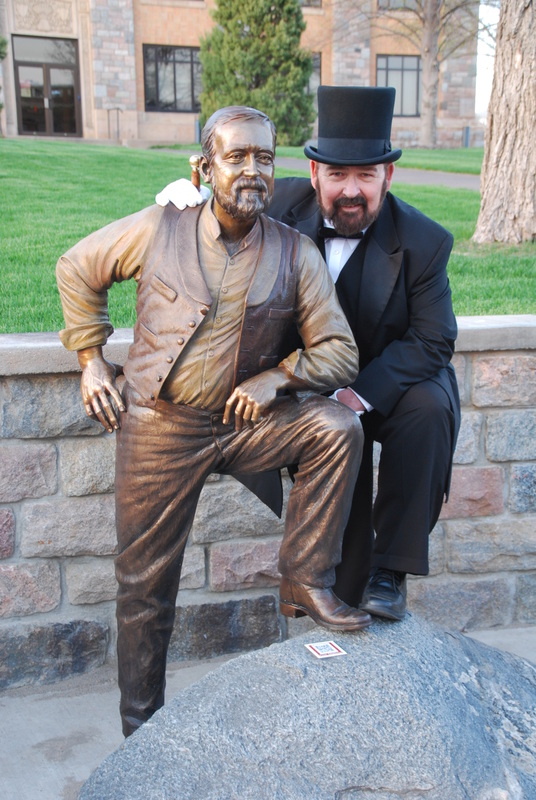 Arthur C. Mellette will be portrayed by John Timm of Sioux Falls at a fundraiser for the South Dakota Historical Society Foundation. The event takes place from 6 p.m. to 8 p.m. on Thursday, July 24, on the outdoor terrace at Cherapa Place, 300 N. Cherapa Pl., Sioux Falls. The event is open to the public. The foundation is the nonprofit fundraising partner of the South Dakota State Historical Society. The social is sponsored by Howalt + McDowell Insurance, a Marsh & McLennan Agency; Woods, Fuller, Shultz & Smith P.C. ; Koch Hazard Architects; and The Risse Sherman Group at Morgan Stanley. Mellette came to Dakota Territory in 1879, settling in Springfield. He was appointed governor of Dakota Territory in 1889 and nine months later was elected governor of the new state. He served two two-year terms as governor. “He earned a place in South Dakota history as a leader for the remarkable way he met crisis after crisis with honesty and integrity, and his steadfast determination to do the best that he could with the resources available,” Timm said of Mellette. Timm has been performing living history portrayals of Mellette since 1999. He will be staying in character as Mellette throughout the July 24 event. People may ask Timm questions and Timm will answer as he believes Mellette would have, Lewis said. The evening will include food, beverages and a silent auction. Lewis and several foundation board members will attend and will tell about the work of the foundation and the South Dakota State Historical Society. Local foundation members are Herb Jones and Carey Miller of Sioux Falls and Brian Gatzke of Brookings. Local State Historical Society trustees are Jeff Hazard, Robert Kolbe and Jon Lauck of Sioux Falls, Laurie Langland of Fulton and John Fowler of Elk Point. Because this is a fundraiser for the foundation, there is a suggested donation of $25 per person. People may call (605) 773-6006 for more information.